From the man responsible for the success of the gym that trained the actors in the movie 300 comes cutting-edge fitness strategies, 100 workouts, and a training plan that has successfully transformed A-list actors and actresses, elite special-forces soldiers, all-star athletes, and everyday men and women. 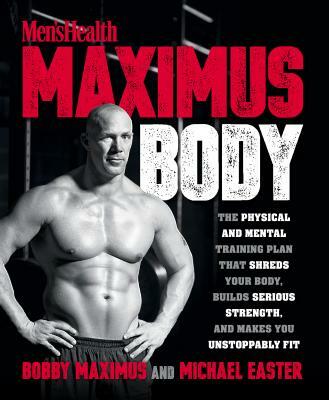 With Bobby Maximus’s guidance you too can become one of the most insanely fit people the world has ever seen. BOBBY MAXIMUS is the creator of the famed Maximus Gym. A former police officer and MMA fighter, he is now one of the world’s top strength coaches. He trains professional athletes, elite special ops soldiers, and those looking to make a real change in their lives. He lives in Salt Lake City, UT. MICHAEL EASTER is the former fitness director of Men’s Health magazine and a health and fitness journalist. He lives in Las Vegas, NV.